Made his debut during the 2006-07 season. On January'07 loaned to KK Lions Vrsac. Back to KK Hemofarm Vrsac for the 2007-08 season. Moved to Russia for the 2010-11 season, signed by CSKA Moscow. On January'11 moved to Lithuania, signed by BC Zalgiris Kaunas. .back to Russia for the 2011-12 season, signed by BC Nizhny Novgorod. On January'12 moved to Serbia, signed by Radnicki Kragujevac. Signed for the 2013-14 season by Crvena Zvezda Belgrade. 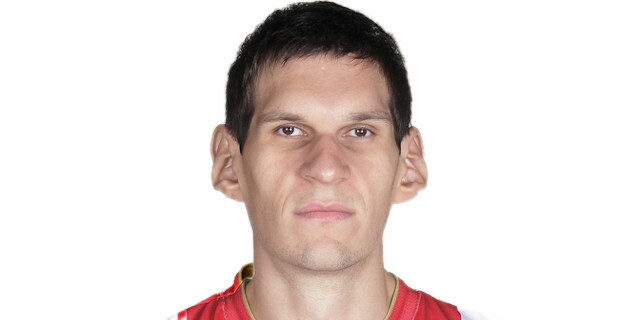 Named 2013-14 Euroleague Round 10 MVP. Named the 2014-15 Euroleague Round 1, 7 and Top 16 Round 14 MVP. Has been member of the Serbia & Montenegro U-18, U-19 and U-20 National Team. Played the 2008 Nike Hoop Summit.